Ooooh, I am SO ready to kick back and spend some time with my little Granddaughters! They can always put a smile on your face in no time at all! I just love them to pieces!!! 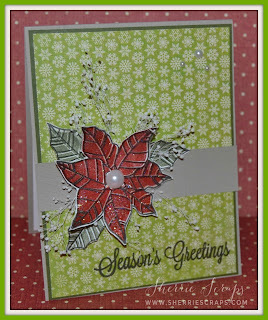 I used fun papers from MME Merry Little Christmas collection. 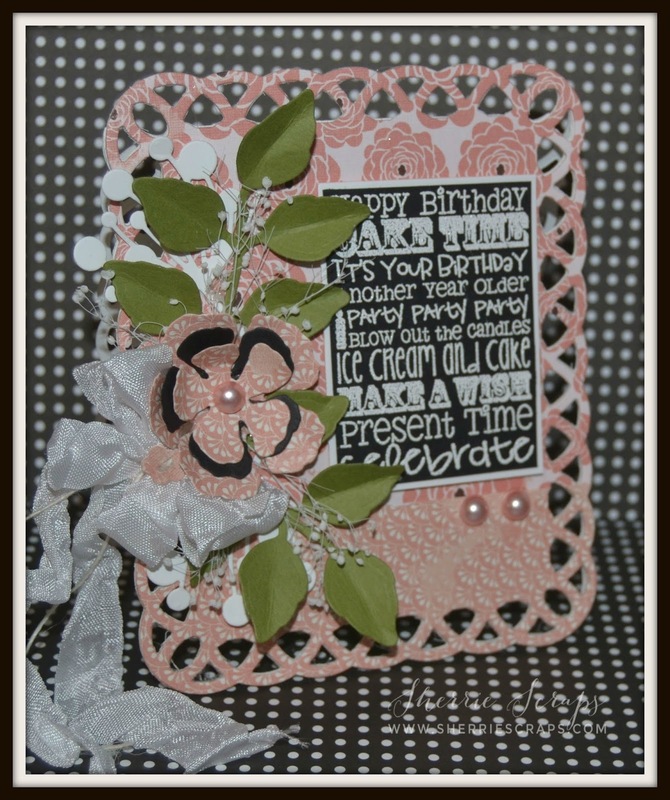 I started with the base and layer using Jaded Blossoms Scallop Rectangle Dies 1. 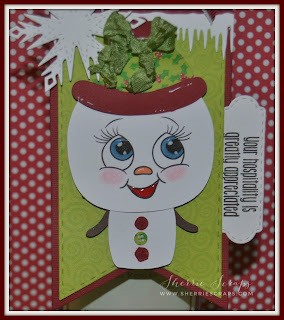 I then layered a Rectangle Dies 1 and again a another Scallop Rectangle Dies 1 which I mounted this adorable Chibi snowman on. 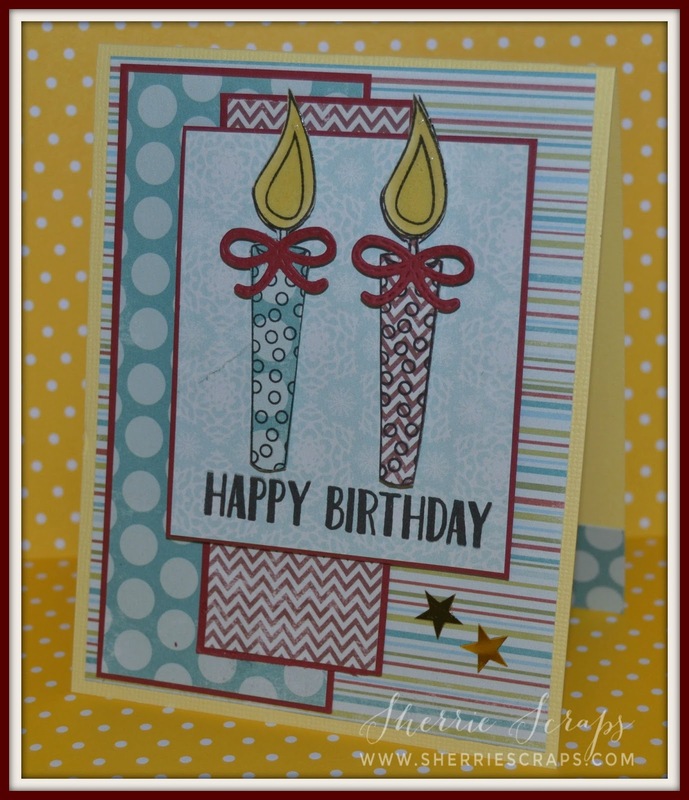 Along the bottom is a border created using the Border Dies 2. 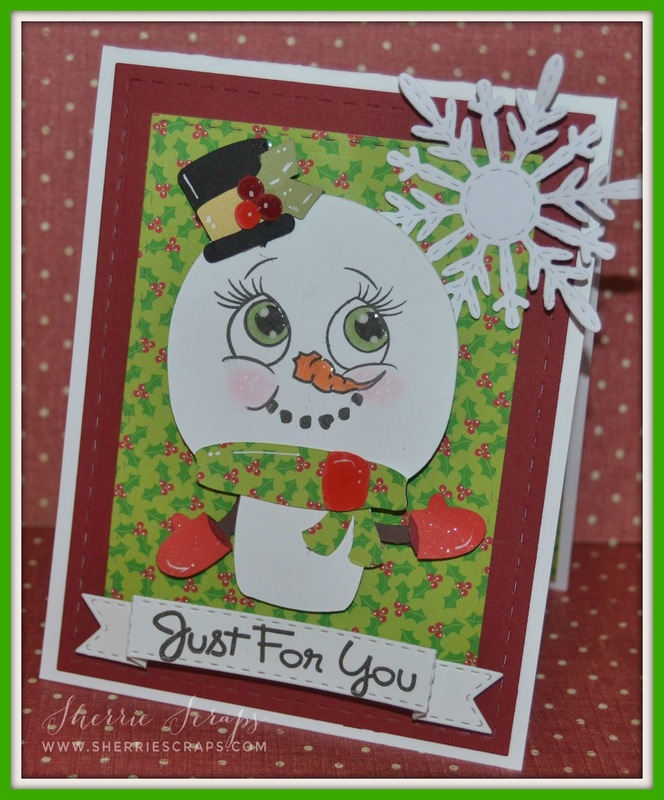 The adorable snowman is the Chibi Snowmen file from SVG Cutting Files. It's so cute and even has 3 different snowmen files in this set! 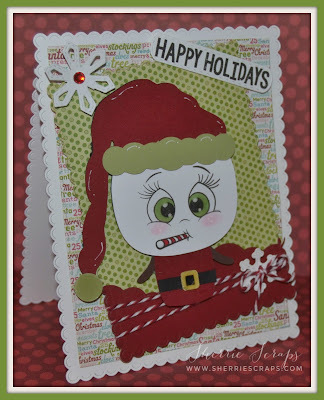 I stamped the sweet face with PK-1882 Ornament Face set, added some rosy cheeks and glossy accents to the eyes. 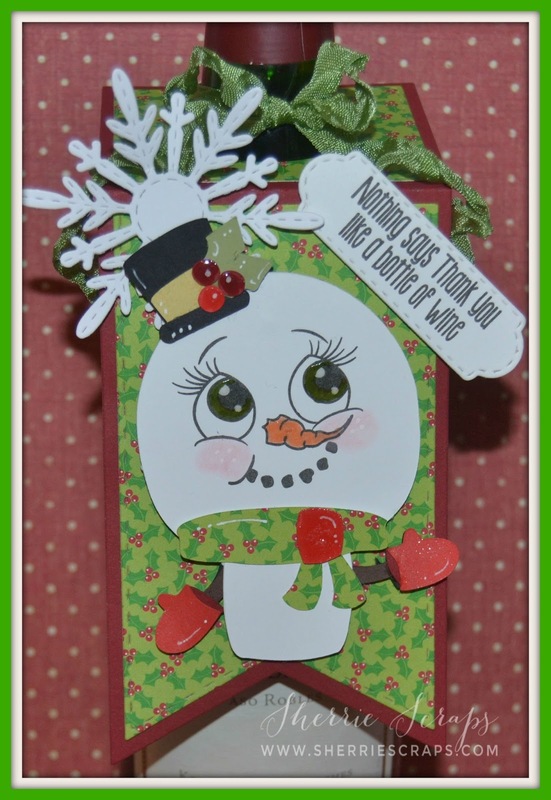 The snowflakes are from the Winter Dies and the twine is Trendy Twine's peppermint stick. The sentiment is stamped with the Holiday Gift Tags stamp set onto a Mini Tag Dies 2. I hope you are having a great week so far. I have been laying low the last few days with a nasty cold I got over the weekend :( Hopefully, it doesn't last to long! 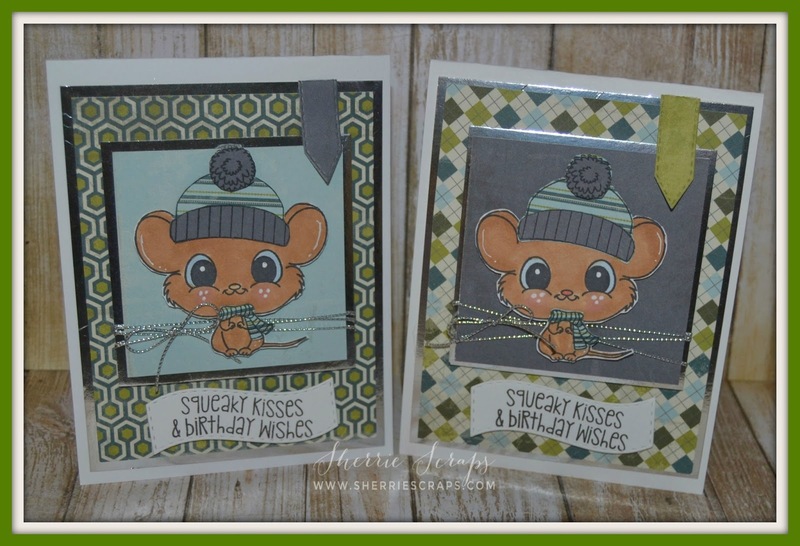 I have a couple more cute birthday cards I made using Jaded Blossoms Mouse Bites stamp set. 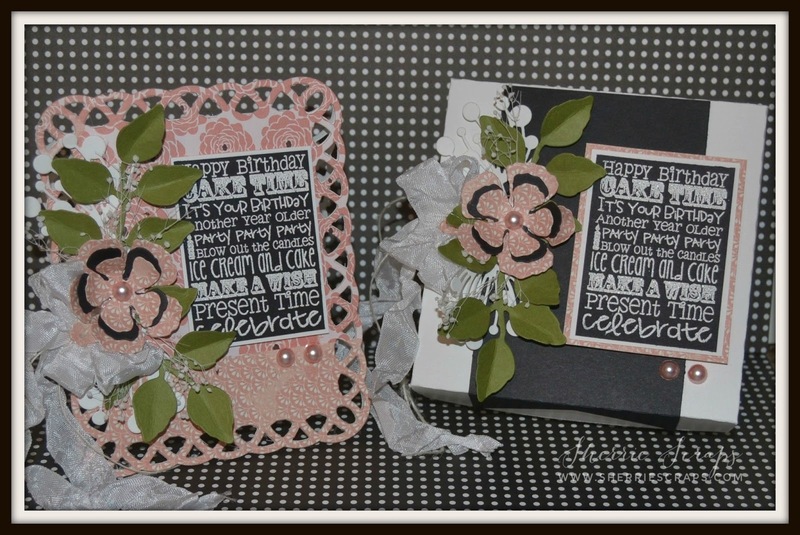 To see the last set of birthday cards with this set, scroll down or go HERE. 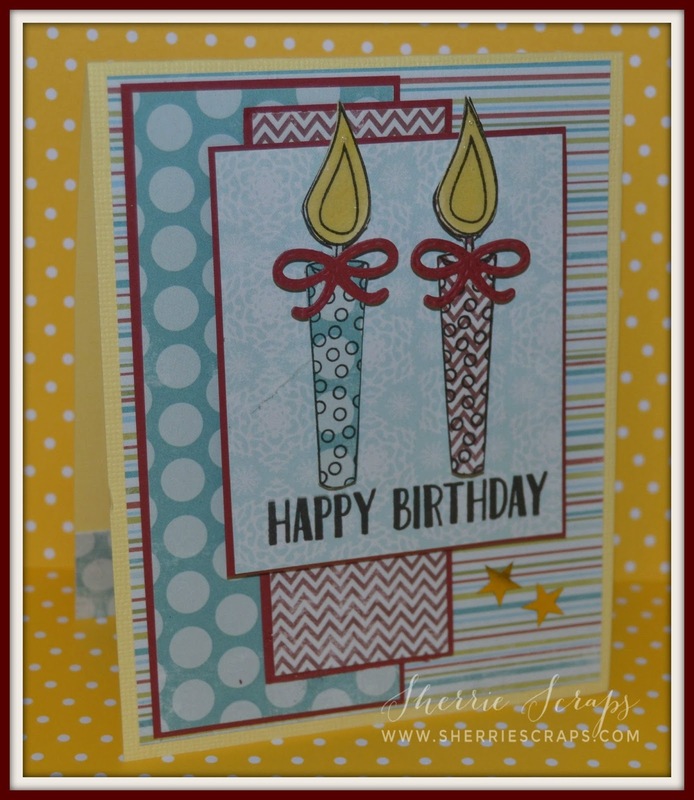 This is such a fun and cute set to create birthday cards with. 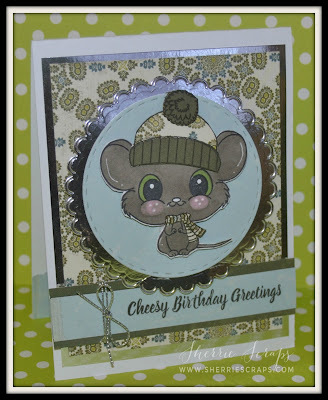 The mouse is adorable and it comes with a lot of fun sentiments to! 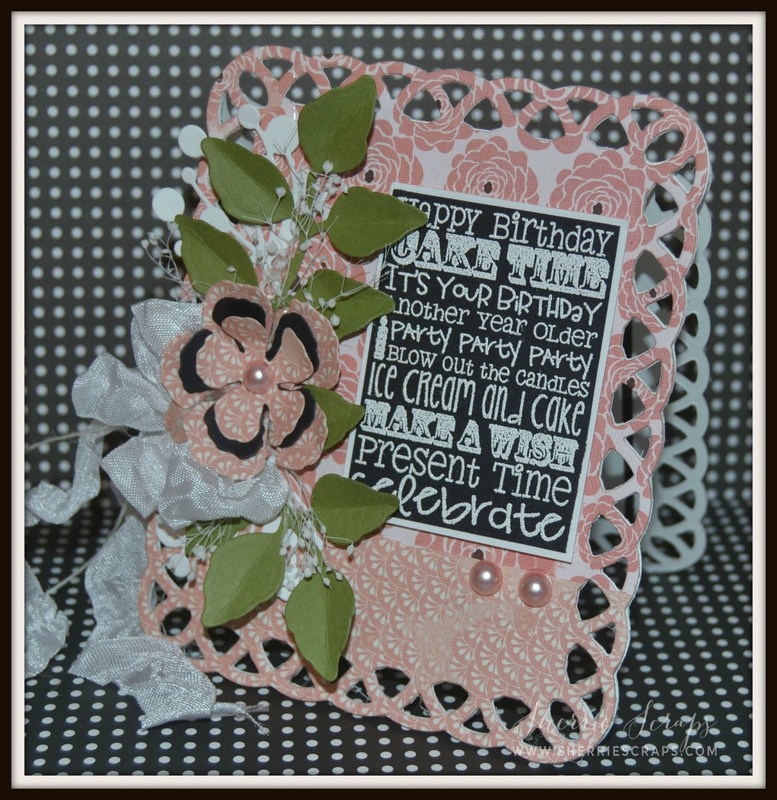 Again using the Authentique Loyal Collection of pattern papers for these cards. After I cut the base and layers, I used the Scallop Circle Dies and Stitched Circle Dies and layered them in the center of the card. 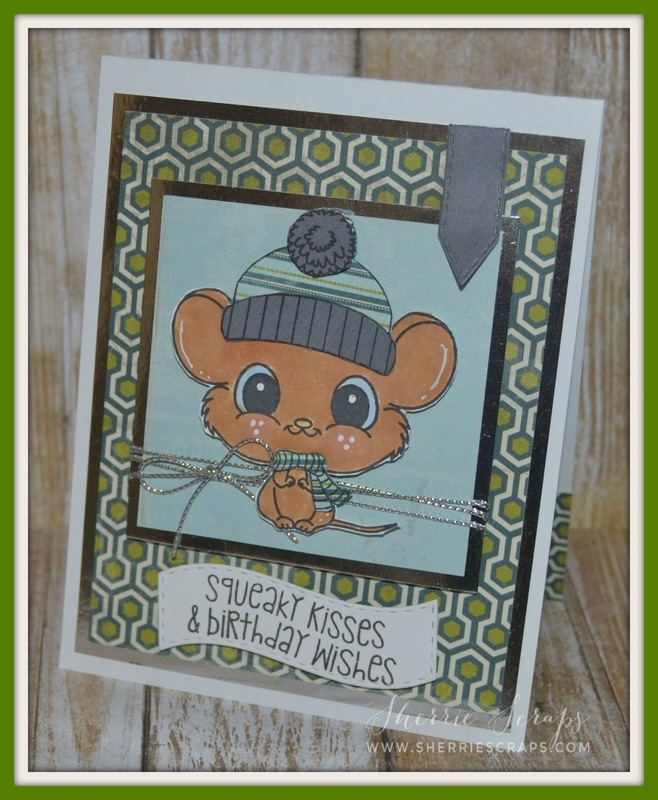 I mounted the sweet little mouse on it with foam adhesives. 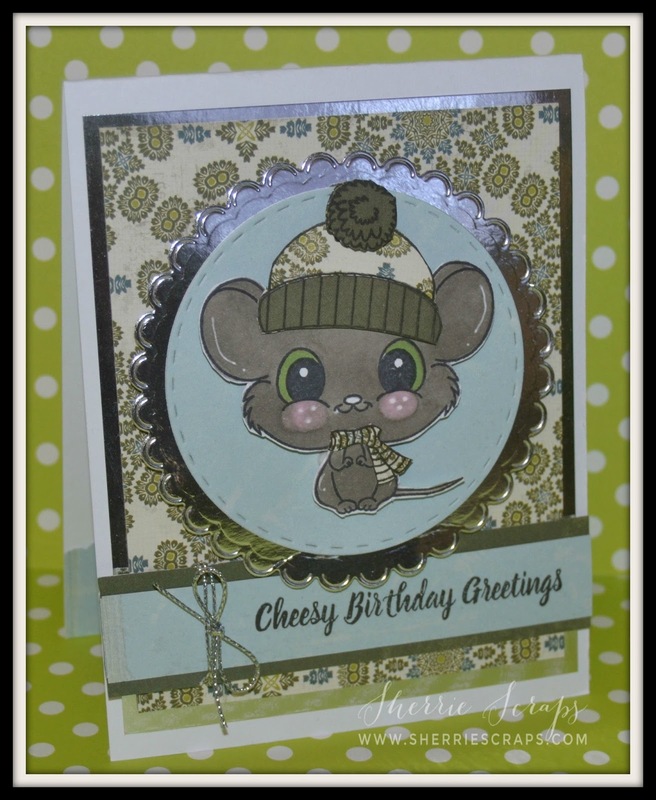 The mouse is stamped and colored with copics. I added some rosy cheeks and a little doodling with a white gel pen. 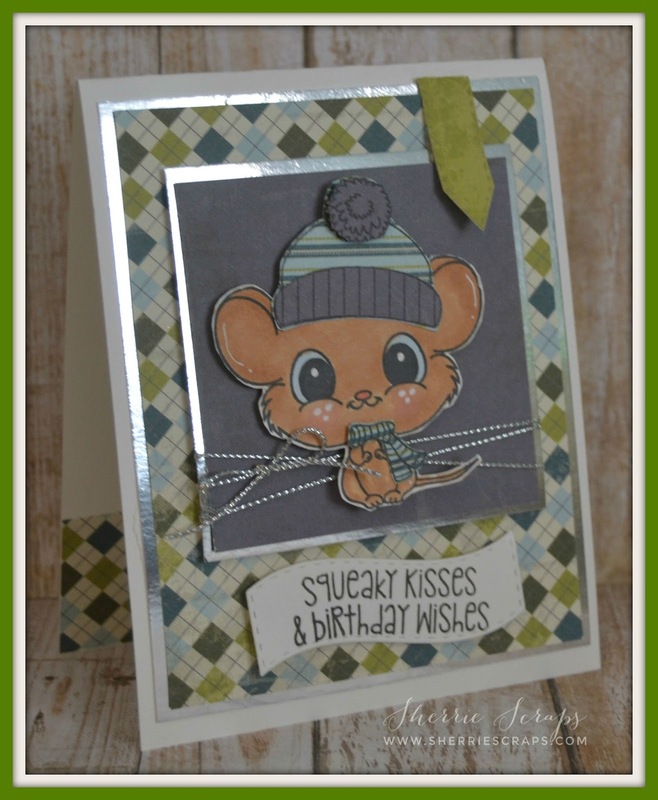 I also pieced in a few things (hat and scarf) using the Authentique paper collection to tie it all together. I added a panel across the bottom and stamped the fun sentiment with the Mouse Bites stamp set. I finished by adding a little silver string from my stash and tied on a bow. It's been a busy week for us and we and looking forward to some R & R!! We are on our way shortly to a friends cabin for the weekend, yippy! 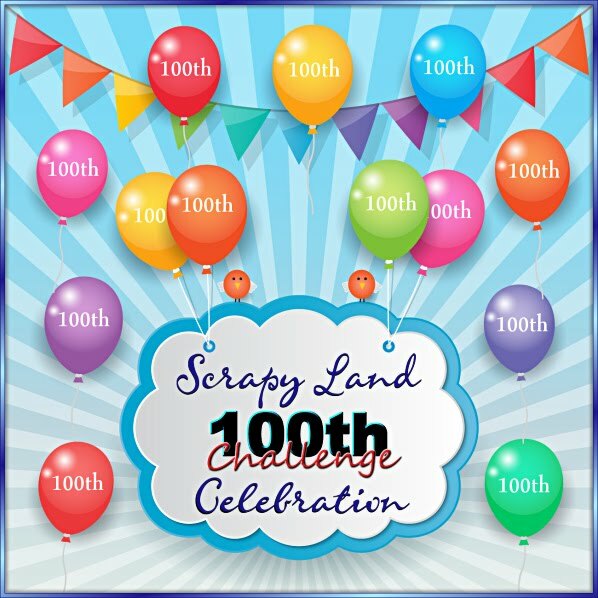 The weather doesn't seem like it will be cooperating for us to snowmobile (since they are calling for rain/snow mix) and temps in the 30's but we are going to try some ice fishing, snowshoeing and the best of all...we will have the traveling sauna with us!!!! The pattern papers used are from Authentique~Loyal Collection. I cut the base mat and base layers. I then continued with a 3 x 3 square using pretty shiny silver paper and then a 2 3/4 x 2 3/4 using Authentique paper. With foam adhesives, I mounted this sweet little mouse on it. I used the Mini Tag Dies in the right corner for the tag. The mouse is stamped with the Mouse Bites stamp set and color with copics. I also added some rosy cheeks and a little doodling with my white gel pen. 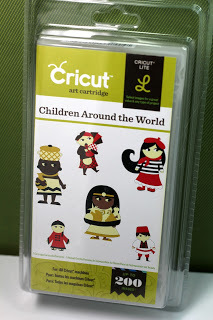 I also pieced in a few things (hat and scarf) using the papers from this collection to tie it all together. 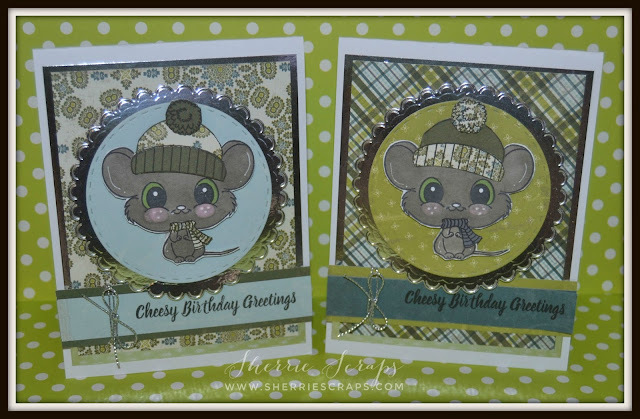 The sentiment is stamped with the same set onto a Mini Tag Dies 2. I finished by adding a little silver string from my stash and tied on a bow. 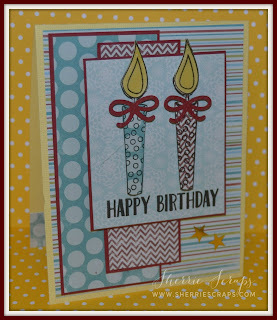 I started with a card base using Spellbinders 7 x 7 Reflective Moment die. I then layered a 5 x 7 Matting Basic B panel cut from Bo Bunny's Altitude Collection my friend Lisa gave me. I love this paper~so many pretty patterns. The snow, snowflake and trees are all from Jaded Blossoms. The adorable snowman is Tutti Designs Jolly Snowman which I picked up a few weeks ago. Isn't it super cute...I love the delicate cut from this die. 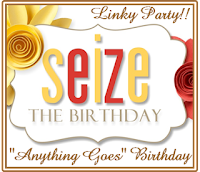 The celebrate along the bottom is from My Creative Times Let's Party Word Dies. 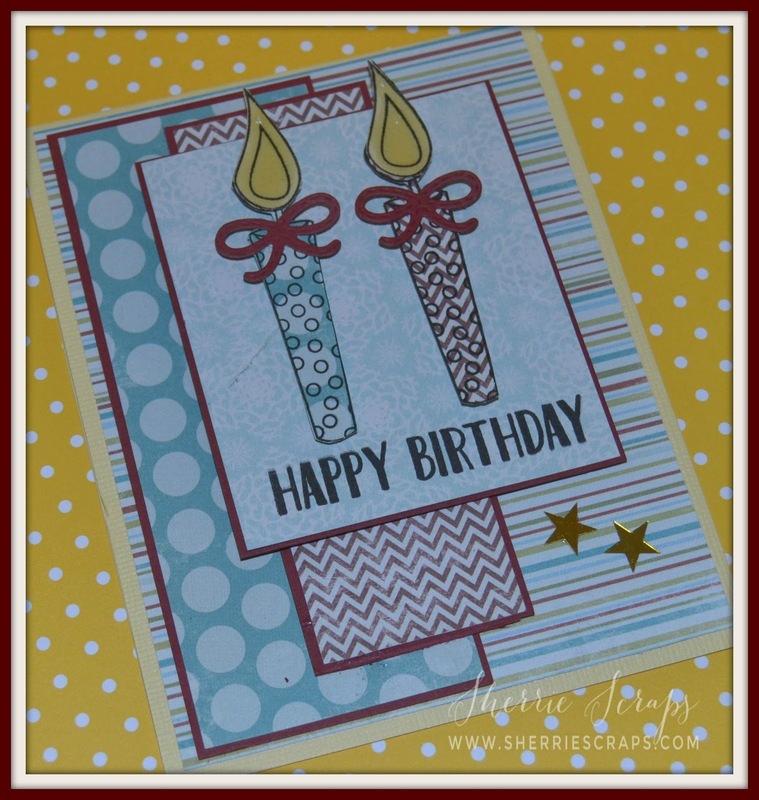 I have a quick and simple birthday card to share today. 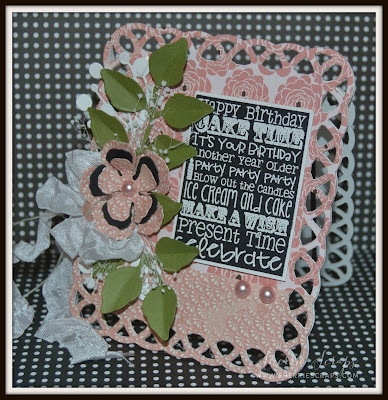 I used the fun sketch challenge over at Die Cuttin Divas for my design. 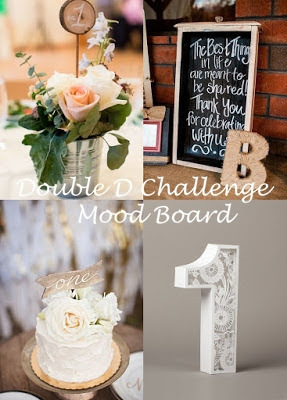 There is still a little time left if you want to join in ?! 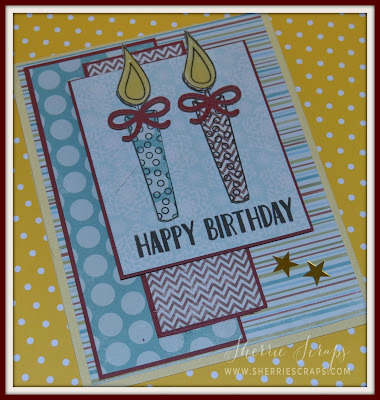 The candles are stamped on the coordinating papers and then fussy cut out. 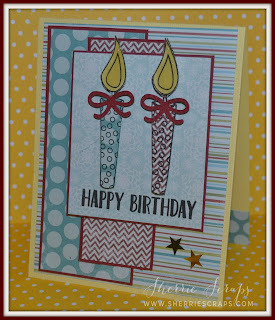 The candles are from Jaded Blossom Birthday Panels stamp set. I hope you are having a great day and looking forward to the weekend~They sure come and go fast, ha? I will be going out of town for a few days to spend some time with my family back home. I have had some of you ask about my Dad and he is doing better. Slow...but making progress! It's actually been 1 month tomorrow since his fall. He is still in the Nursing Home but working on therapy so he can get back home soon. Thanks for all the prayers..appreciate them! I will be back early next week to catch up...have a great weekend! These adorable snowmen are from SVG Cutting Files~Chibi Snowmen set. 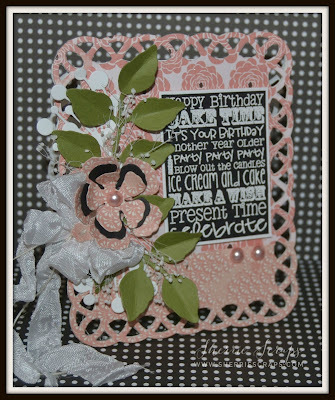 I stamped the face using Peachy Keens PK-1882 Ornament Face set. Doesn't she make you smile inside? So, so cute! The wine tag is created with the Wine Tag Die. 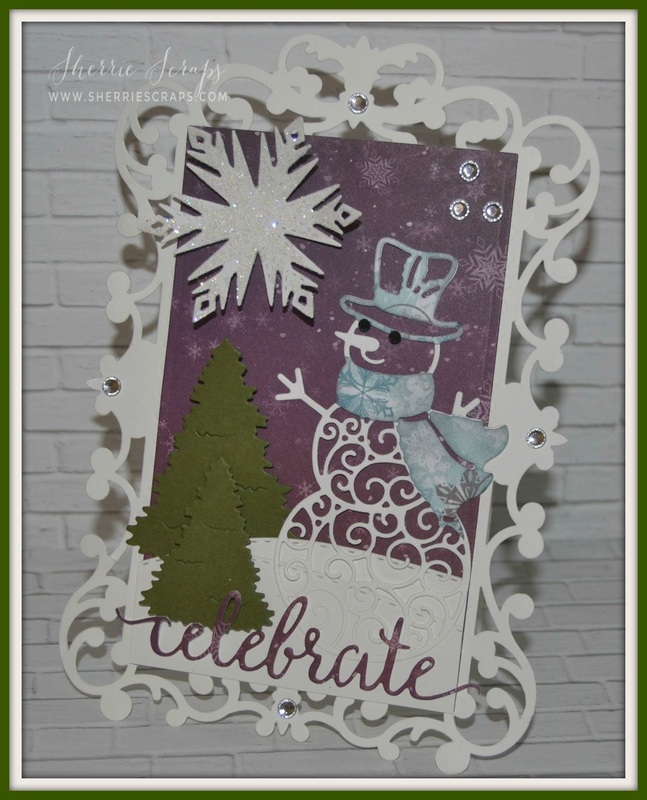 I popped the snowman with adhesives for dimension.The hanging icicles and snowflake are form the Winter Dies. The sentiment is stamped with For the Hostess onto a Mini Tag Dies 2. The card is similar to the tag. 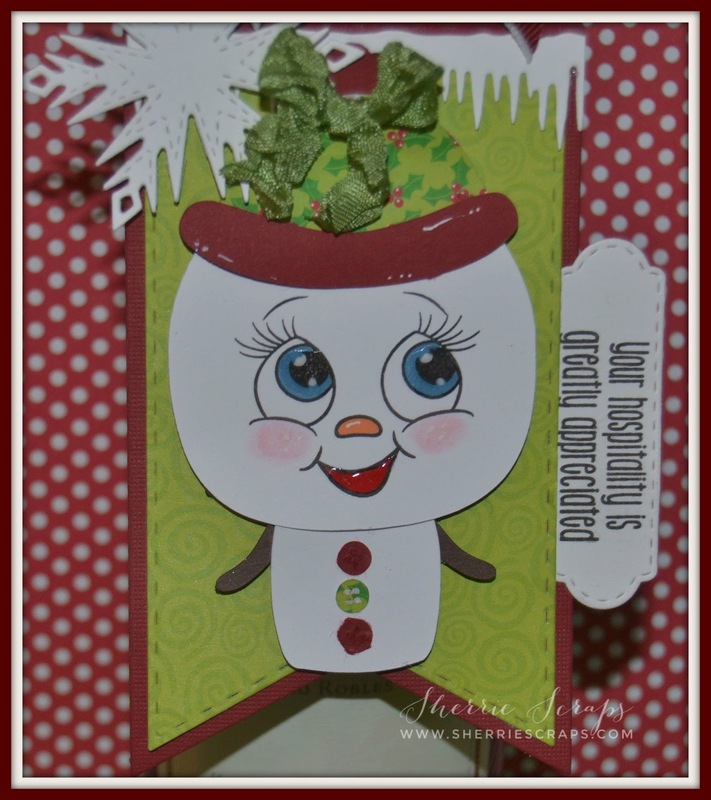 I added a red base layer and a small panel of matching pattern paper from the snowman's hat. I then added a Scallop Hexagon Dies and then popped the snowman on that. The icicles and snowflake are from the Winter Dies. 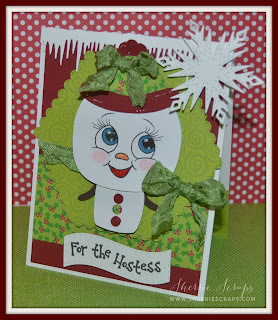 The sentiment is stamped with For the Hostess onto the Mini Tag Dies 2. 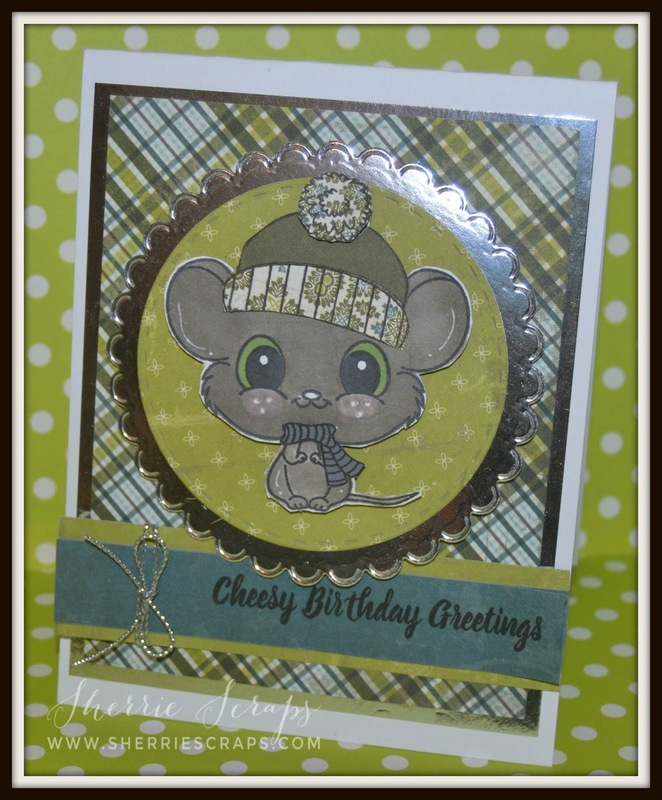 The ribbon is Ghoul Green from my friend, Diana at DL.ART. 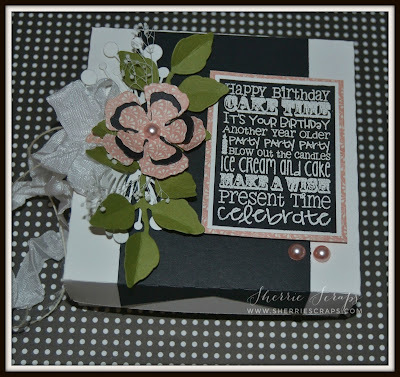 Today I have a quick little tag and card to share. 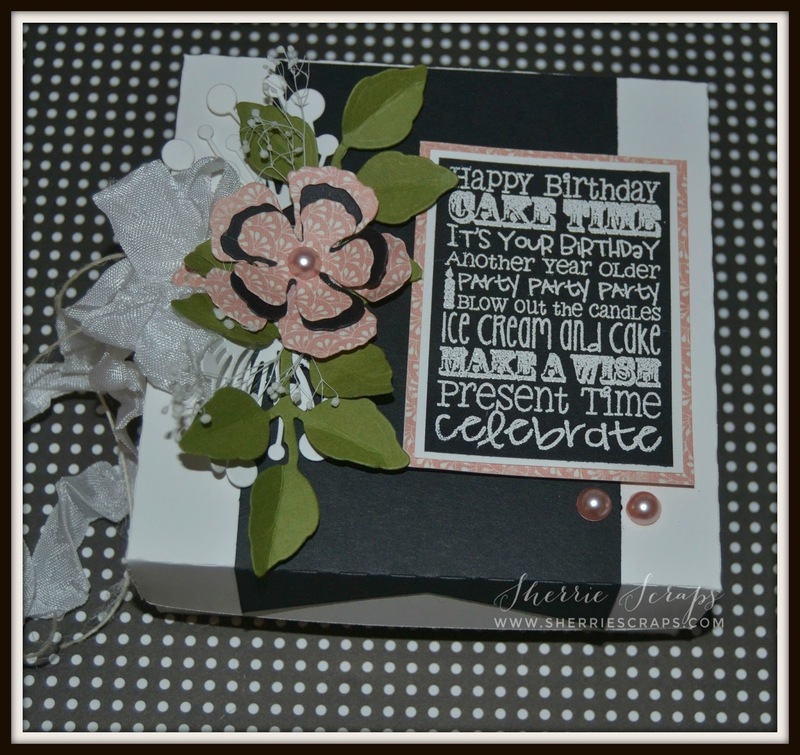 I made this fun set for a friend using Jaded Blossoms stamps and dies. 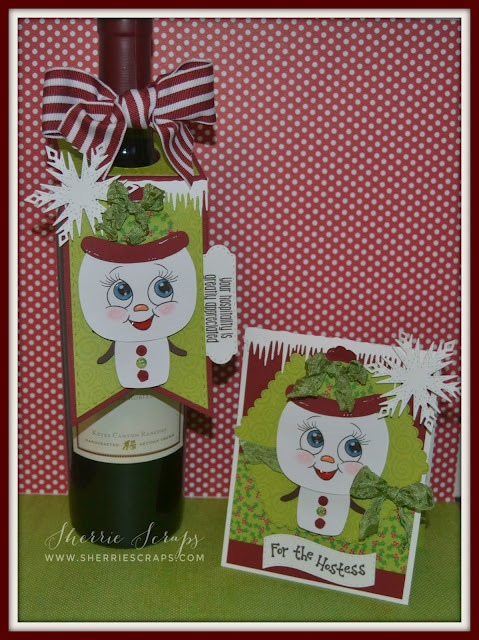 The tag is created with the Wine Tag Die. 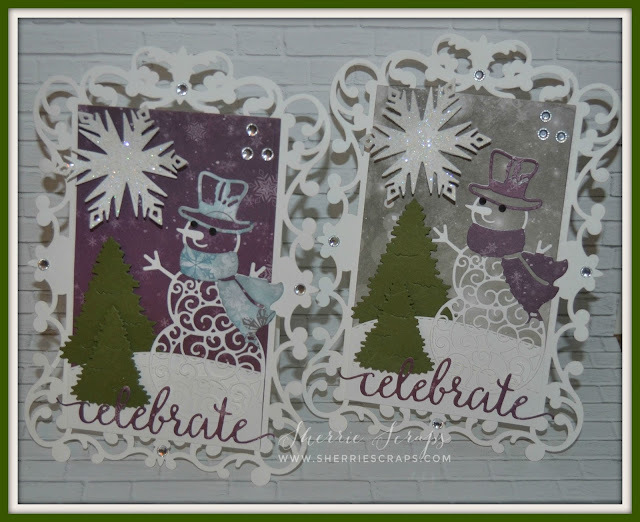 The snowmen are the Chibi Snowmen found at Svg Cutting Files ...so cute! 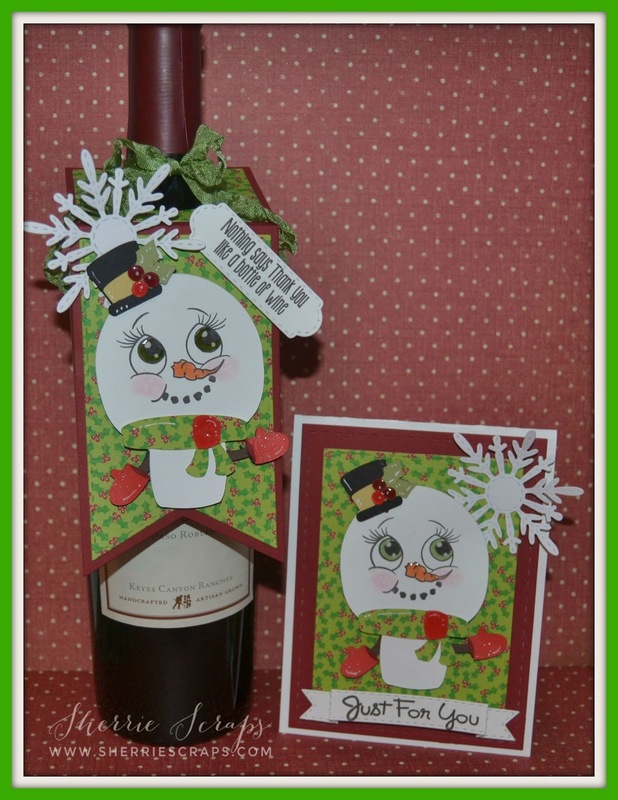 The sentiment is stamped with the Wine-O'clock Stamp set onto a Mini Tag Dies 2 and the snow flake from the Winter Dies all from Jaded Blossoms. 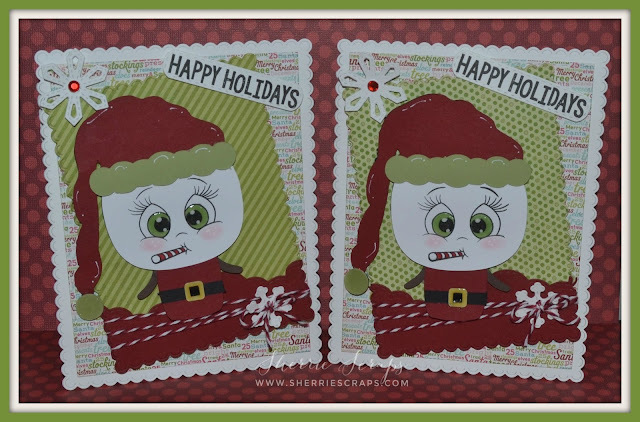 The cute little face is stamped with Peachy Keens PK-1882 Ornament Face Set. I finished with a tying on a bow with Ghoul Green from my friend, Diana at DL.ART. I made a matching card to got with the tag. I used the Card Mat Dies and Rectangle Dies 1 for the base layers. Then with foam adhesives, popped the snowman into place. 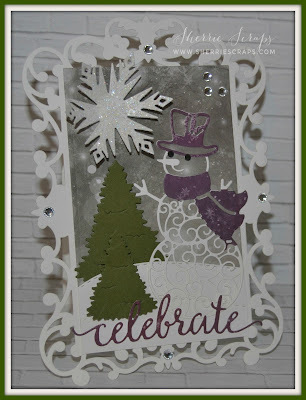 The sentiment is stamped with For the Hostess stamp set onto a Dimensional Banner Dies and again the snowflake using the Winter Dies. Hi Everyone and Happy New Year!!!!! Wow, I can't believe it's 2017...time sure flies, ha? I have been a bit distracted this past couple weeks with Christmas and some family things that have come up which have led me to some traveling. 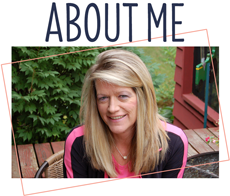 I haven't had much time at home and/or in my craft room but I am hoping to spend some time getting around and visiting you this week. 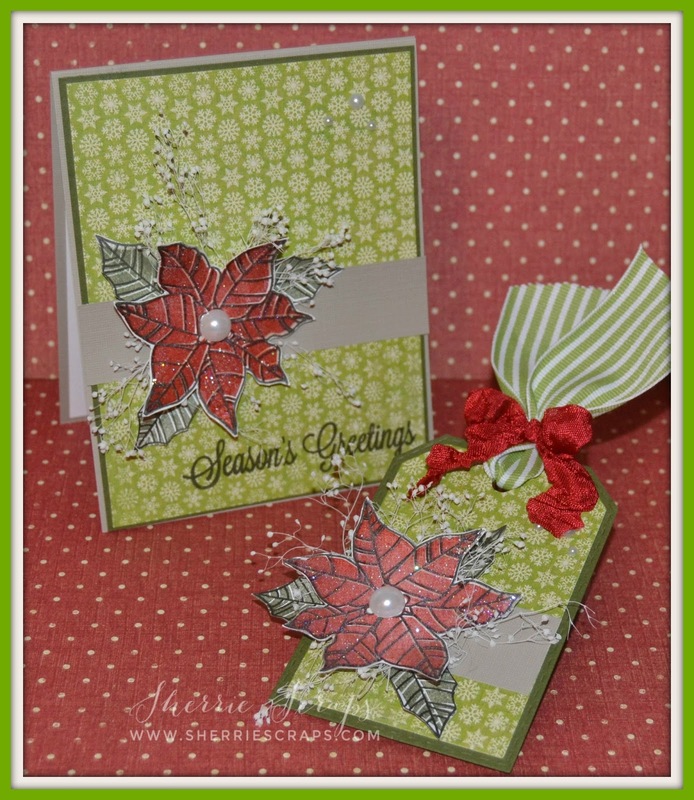 Today, I am sharing a quick card and matching tag using Jaded Blossoms Elegant Holiday Greetings stamp set. 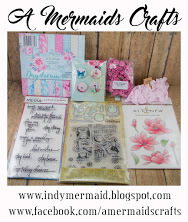 The solid paper is from SU and the pretty pattern paper is from K & CO. 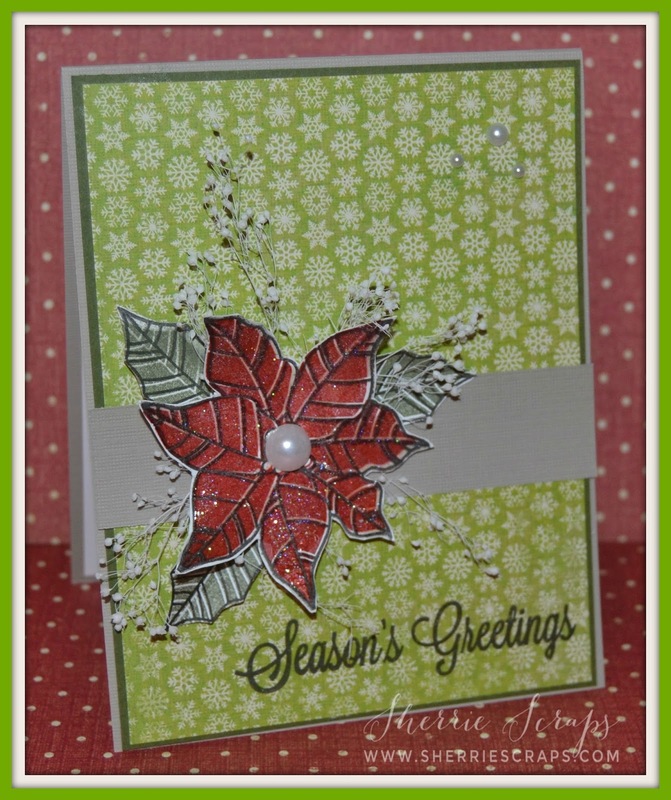 The beautiful poinsettia's are stamped with Jaded Blossoms Poinsettia stamp set, fussy cut out and then a layer of crystal glitter. Beneath the flowers are the leaves and some baby's breath for a filler. The sentiment on the card is stamped with the Elegant Holiday Greetings stamp set. 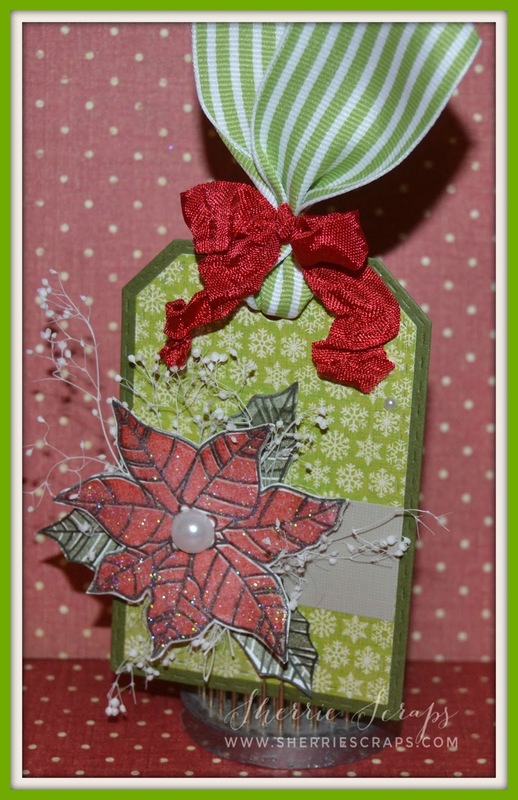 I made a matching tag to tie on top of a Christmas package. The tag is created with the Luggage Tag Dies and again using the Poinsettia stamp set for the Poinsettia.